Italian authorities have announced that bone remains have been found while searching the Costa Concordia wreckage before scrapping procedure’s begin. 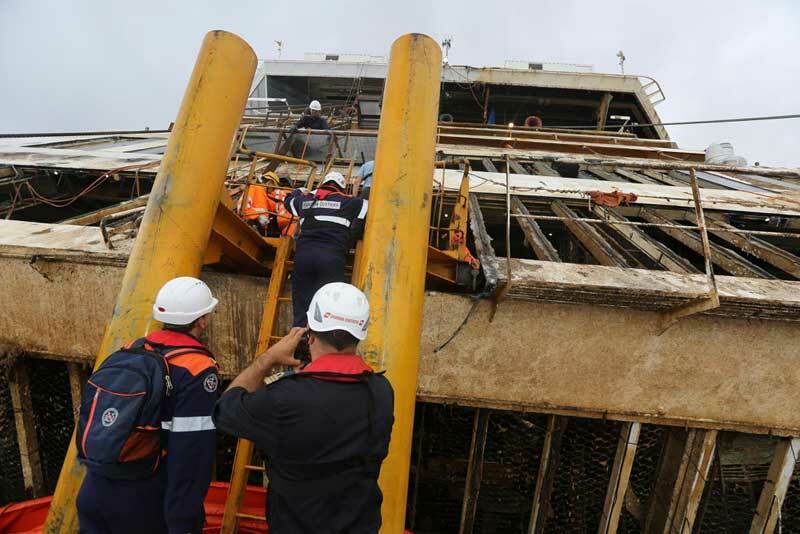 Since the Concordia arrived at the port in Genoa, Italy search teams and divers have started an operation to find the remains of the last remaining missing person. Crew member Russel Rebello was a waiter aboard the ship from Mumbai, India. The remains which are bones will first have to be tested and verified that they are in fact those of Russel Rebello. It’s also being reported that the remains could be fragments from a skull but this is not confirmed. The search started on August 5th on deck four and the remains were found by divers of the fire department on deck 3. It’s expected to take a few days for the bones to be analysed. The remains may also be from passenger Maria Grazia Trecarichi as not all her remains may have originally been found last year. The Costa Concordia is now be prepared for scrapping after a long journey from the Italian island of Giglio where it had been ever since the tragedy in January 2012 where 32 people died. Also meanwhile the captain of the Costa Concordia, Fransesco Schettino who is in an ongoing trial just got invited to speak at an event. The event was arranged by The Sapienza University of Rome by a professor who works there. The captain had made a speech about managing panic.